I'm very glad to share with you a unique shop for world treasures named Novica. Novica works in association with National Geographic to support super talented artisans from around the world giving them the opportunity to showcase their beautiful work and share their inspiring stories. One of the things I love the most about Novica, is that you feel that you can really connect with every artisan through their story, pictures and inspiration, so that your shopping experience is more personal. One of the things that is important to me when I shop, especially online, is that I like to know a little bit more about the creator behind the product, the story of the product and how it was made. 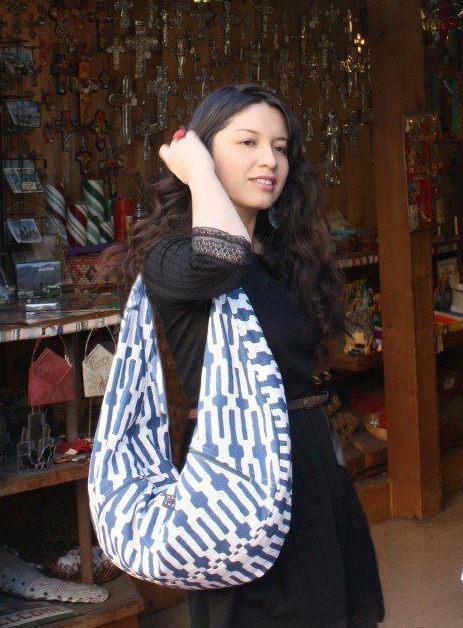 When you shop at Novica you feel you're not only shopping beautiful and unique pieces but also supporting fair trade policies and helping artisans in their efforts to make a living from their talent. That's the way I felt when I learned about Novica and its mission. Another great thing about this online store is that it carries pretty much everything you need, from home decor to clothing and accessories such as alpaca wool gloves, silk shawls from India, beaded bracelets, onyx dangle earrings, you name it!. Novica has also a gorgeous eco friendly collection that you'll adore. Me siento muy contenta de poder compartir con ustedes esta linda tienda online llamada Novica. Novica trabaja en asociación con National Geographic para apoyar a artesanos talentosos de todas partes del mundo dandoles la oportunidad de mostrar su arte y compartir sus historias de vida. Una de las cosas que mas me gustan de Novica es que uno siente que realmente te conectas no solo con el producto, pero también con el artesano detras del producto a través de su historia y proceso de creación. Así, la experiencia de comprar online es mucho mas personal y única. Para mi es importante, especialmente cuando compro online, saber un poco mas acerca del creador del producto y también de donde viene el producto y como esta hecho. Cuando compras en Novica, sientes que no solo estas comprando piezas hermosas y únicas si no que también estas apoyando a los artesanos a seguir viviendo de su arte y talento. Otra de las cosas que me gustan de Novica es que tienen de todo lo que te puedas imaginar, desde cosas para el hogar hasta ropa y accesorios como guantes de alpaca, bufandas de seda de la India, pulseras de piedras naturales, etc. Ademas Novica tiene una hermosa colección eco-friendly que te va a encantar. 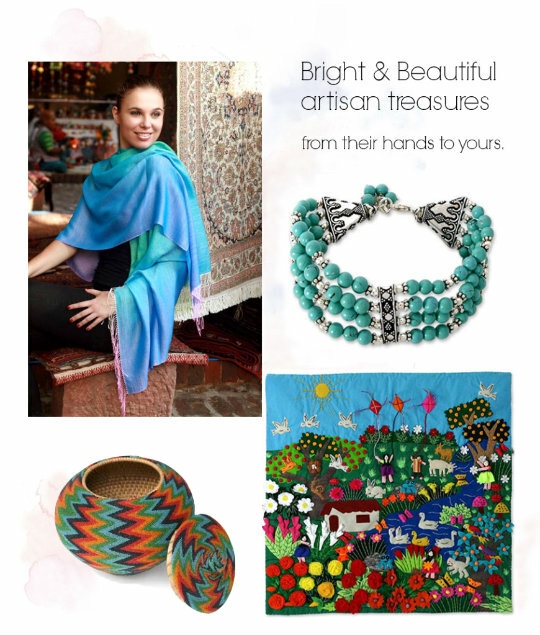 Picture above (from left to right): Beautiful shawl from India, beaded bracelet, decorative basket, Peruvian wall art. Foto de arriba (de izquierda a derecha): Bufanda de la India, brazalete de piedras, canasta decorativa y arte peruano en tela. Love this post, it's a great find!